Undergraduate and graduate students, researchers, scientists, and teaching faculty across the biological and medical sciences. Where Does Eukaryotic mRNA Degradation Occur Within the Cell? Where Will the HIV-1 PR Inhibitors Be in the Future? How Do We Know about Regulated versus Constitutive Secretion? Unconventional Secretion – What Is It Good for? ROS and Anoikis – A Double-edged Sword? How Do Bcl-2 Family Proteins Regulate MOMP? How Is the Self-Tolerance Established? The Heart-Evidence for a Cardiac Stem Cell Niche? Philip D. Stahl is Mallinckrodt Jr. Professor Emeritus at Washington University School of Medicine in St. Louis, MO. He was educated at West Virginia University with post-doctoral work at Vanderbilt University. He served as Head of the Department of Cell Biology and Physiology and Director of the Division of Biology and Biomedical Sciences at Washington University. 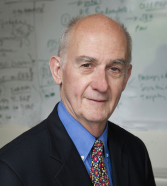 He has been the recipient of many awards including a MERIT award from the NIH and the WICB Senior Recognition award given by the American Society for Cell Biology in recognition of his work supporting the advancement of women in science. 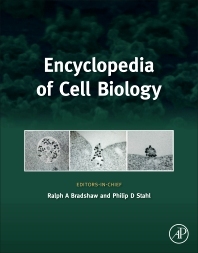 Among StahlLab contributions are the discovery of the lysosomal enzyme clearance pathway now implemented in the treatment of lysosomal storage disease, discovery of the innate immune receptor, the mannose receptor, discovery of the exosome secretion pathway, and the role of Rab5 and Arf6 in endocytosis. Currently his research focuses on endocytosis, signal transduction, and exosome biogenesis and secretion.